ICAN describes itself as a coalition of grassroots non-government groups in more than 100 nations. It began in Australia and was officially launched in Vienna in 2007. The Norwegian Nobel Committee, warning of a rising risk of nuclear war, awarded the 2017 Nobel Peace Prize on Friday to a little-known international campaign group advocating for a ban on nuclear weapons. 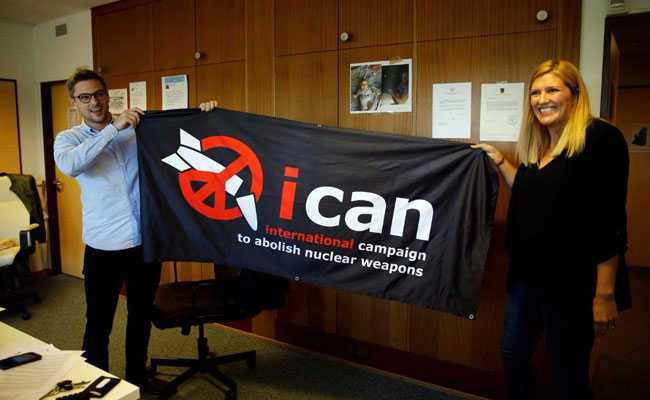 The International Campaign to Abolish Nuclear Weapons (ICAN) describes itself as a coalition of grassroots non-government groups in more than 100 nations. It began in Australia and was officially launched in Vienna in 2007. 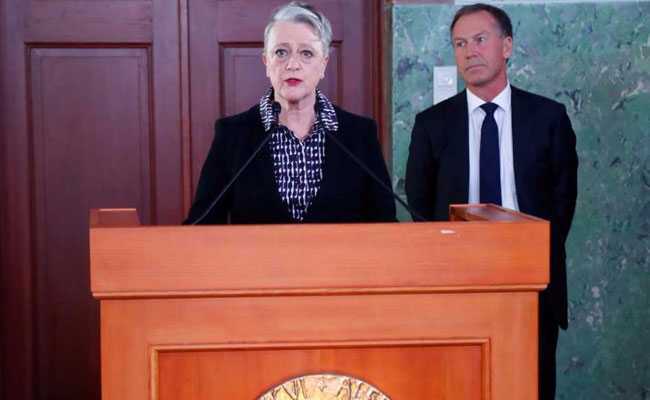 "We live in a world where the risk of nuclear weapons being used is greater than it has been for a long time," said Berit Reiss-Andersen, the leader of the Norwegian Nobel Committee. In July, 122 nations adopted a UN Treaty on the Prohibition of Nuclear Weapons, although the agreement does not include nuclear-armed states such as the United States, Russia, China, Britain and France. "This award shines a needed light on the path the ban treaty provides towards a world free of nuclear weapons. Before it is too late, we must take that path," ICAN said in a statement on its Facebook page. "This is a time of great global tension, when fiery rhetoric could all too easily lead us, inexorably, to unspeakable horror. The spectre of nuclear conflict looms large once more. If ever there were a moment for nations to declare their unequivocal opposition to nuclear weapons, that moment is now." The Nobel prize seeks to bolster the case of disarmament amid nuclear tensions between the United States and North Korea and uncertainty over the fate of a 2015 deal between Iran and major powers to limit Tehran's nuclear programme. The Iran deal is seen as under threat after US President Donald Trump called it the "worst deal ever negotiated". A senior administration official said on Thursday that Trump is expected to announce soon that he will decertify the pact, a step towards potentially unwinding it. The committee raised eyebrows with its decision to award the prize to an international campaign group with a relatively low profile, rather than giving it to the architects of the Iran deal, who had been widely seen as favourites after hammering out a complex agreement over years of high-stakes diplomacy. "Norwegian Nobel Committee has its own ways, but the nuclear agreement with Iran achieved something real and would have deserved a prize," tweeted Carl Bildt, a former Swedish prime minister who has held top posts as an international diplomat. The leader of the Norwegian Nobel committee denied that the prize was "a kick in the leg" for Trump and said the prize was a call to states that have nuclear weapons to fulfil earlier pledges to work towards disarmament. "The message is to remind them to the commitment they have already made that they have to work for a nuclear free world," Reiss-Andersen told Reuters. The United Nations said the award would help bolster efforts to get the 55 ratifications by countries for the UN Treaty on the Prohibition of Nuclear Weapons to come into force. "I hope this prize will be conducive for the entry into force of this treaty," UN Chief Spokeswoman Alessandra Vellucci told a news briefing.